My kids are obsessed with granola bars. They are practically a daily snack that I have been spending way too much money on. Through the years I have made countless granola bars. I've tried so many recipes that sound amazing but for some reason they just don't work out for me. The granola bars either crumble when they are done, they are too stiff or the kids just don't like the flavor. I finally decided it's time to toss the recipes away and start from scratch. I'm so mad at myself that I didn't do this 20 failed recipes ago. 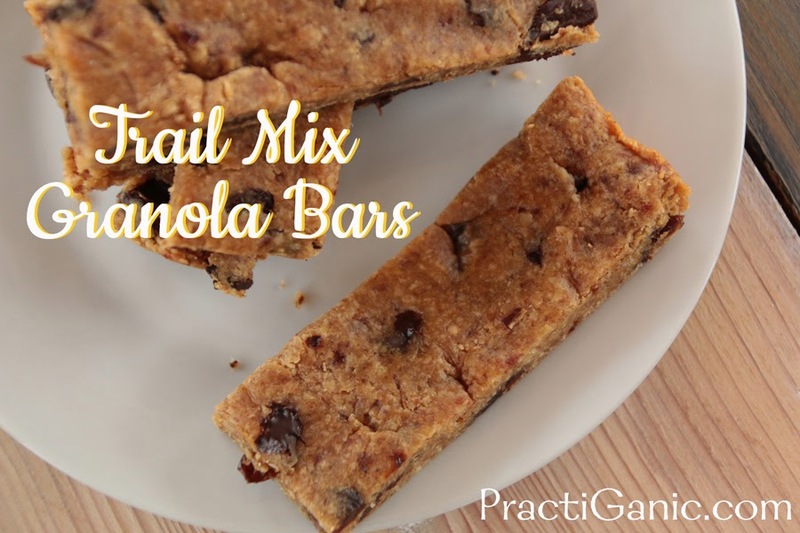 The consistency of my Trail Mix Granola Bars are chewy, sweet without being filled with processed sugars and most of all, they were easy to make! I hope this recipe works out for you too. In a food processor, puree dates and oats until they are finely crumbled. Add in flour, peanut butter and maple syrup. Mix until everything is thoroughly incorporated. By hand, mix in chocolate chips and raisins. Line a 9x7 or 8x8 baking pan with aluminum foil and spray foil. 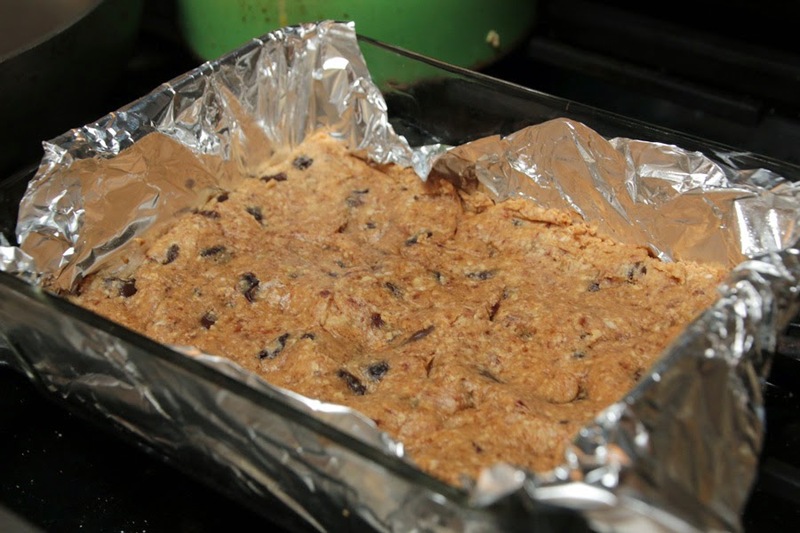 Press granola bars into pan. Bake at 350 for 20 minutes. 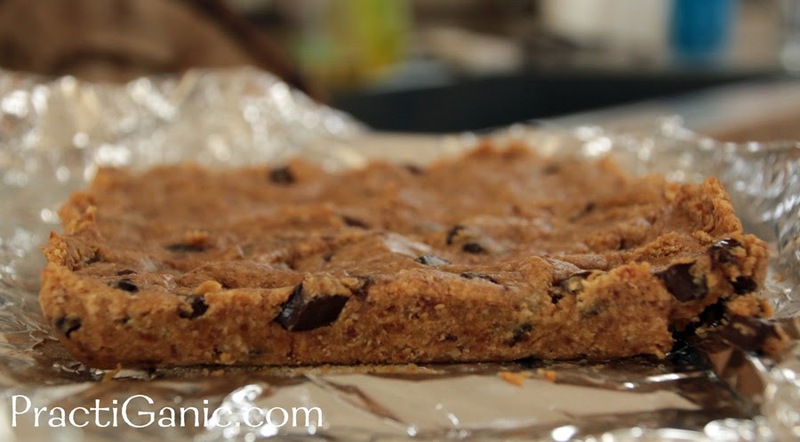 Pull granola bars and aluminum foil out of pan and let it cool on a cutting board before cutting.